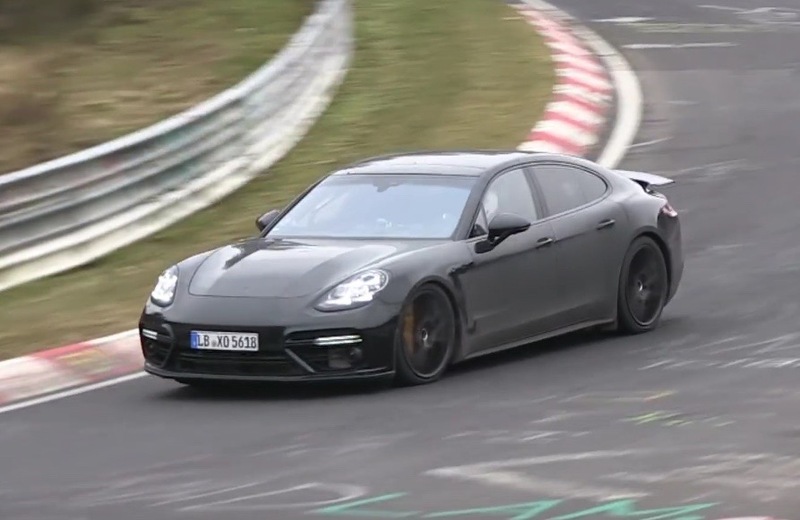 If you haven’t seen the latest spy video with the upcoming 2017 Porsche Panamera, then you`re in for a treat.The video is showcasing the car while undergoing some tests at the famous Nurburgring, preparing for an official debut at the 2016 Paris Motor Show, this September. As we can depict from the spy video, the 2017 Porsche Panamera will add some mild modifications at the exterior, while the interior will be mainly highlighted by the plethora of high-tech gizmos and exquisite materials. From a mechanical point of view, the all-new Panamera will stand on the Volkswagen`s new MSB architecture, which means that it would shed off around 100 kg, improving thus its driving dynamics, handlings and performance on the road. The same MSB platform will prove its efficiency on other models as well, such as the future Lamborghini sedan or upcoming Bentley models, thanks to a mix of materials like aluminum or high-strength steel. The Modular Standard Platform which derives from the German “Modularer Standardantrieb-Baukasten”, is also designed for large front-engined cars with rear- or all-wheel drive layouts, like the ones found on the Bentley Continental or Flying Spur. Speaking about performance, the 2017 Porsche Panamera is set to come with rather the same engine lineup, adding more potent GTS and V8 Turbo mills. As expected, a plug-in hybrid version will also join the club with a higher-performance battery pack for improved mile range.